The Christmas holiday is a great time for drawing for fun, and catching up on arts and crafts in general. A lot of people think I spend all my time sketching and designing, but in reality there’s so much more involved in running Cakes with Faces that drawing is probably the smallest part of what I do. 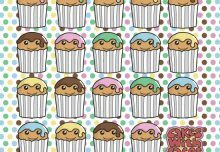 But it’s definitely the best part, and the reason why I started Cakes with Faces in the first place. 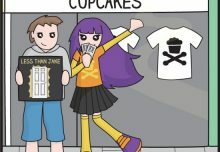 It’s been so busy recently – in fact things have been non-stop since I started preparing for MCM London Comic Con back in October – straight after that was my TV ad, then Hyper Japan, followed by December, which is the busiest time of year in the online shop. So it’s been nice to relax over Christmas and take some time out for drawing, and do some fun, Christmassy designs. Over Christmas your orders from the online shop are being despatched as usual – within 1 working day whenever the Post Office is open, so remember to take a look at the January Sale! There are lots of discontinued items at bargain prices, as well as popular favourites at special prices so you can get the most out of your Christmas money. 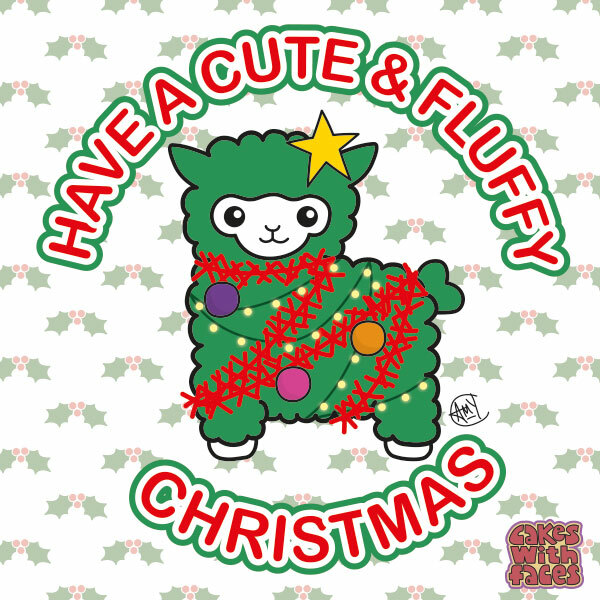 The Christmas alpaca is the design I used on my Christmas cards this year – 2015 was the year the Alpacalypse started, so it just had to be an alpaca design! My hamster obsession has got way out of control recently, and I wanted to do a Christmassy version of Hamsters in Teacups. First I planned that the teacups would be in Christmas colours, with holly and santa hats for the hamsters. 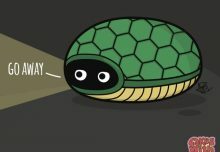 Then I thought it’d be more fun (and cute!) 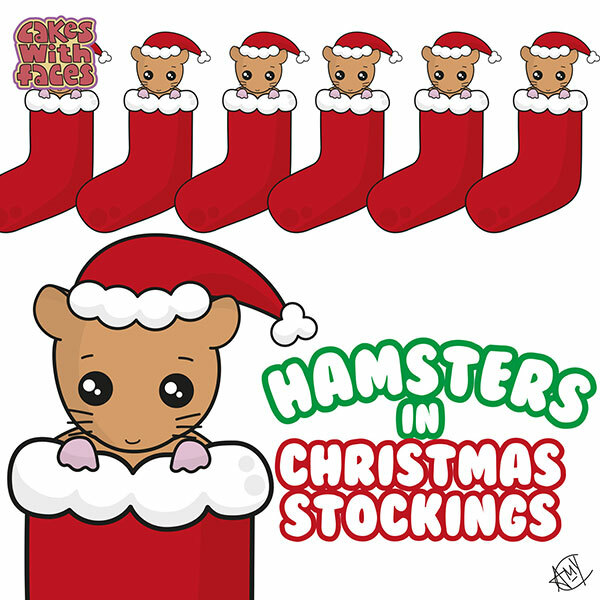 to put the hamsters in Christmas stockings – they look so cosy! I also made the hamsters’ cheeks a little chubbier, so they look more cute. 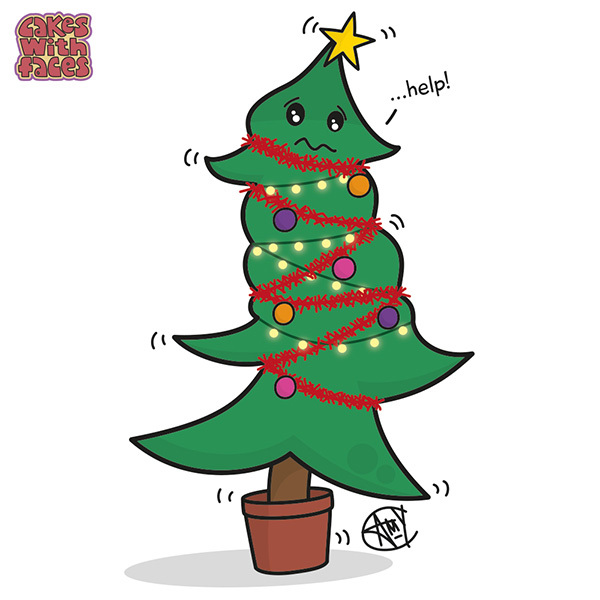 I sketched out my suffocating Christmas tree a while ago, and since I got woken up early (ie before 9am!) this morning, I decided to draw him up properly. 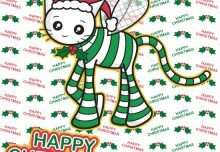 Like my Christmas cracker design last year, it’s a take on how Christmas might not be so fun for everyone! What We Did in 2015!